We are aware of the importance of healthy eating during childhood. Eating habits begin to establish themselves at this stage of life and the canteen menus of our school are therefore prepared according to the recommendations from the Spanish Food Safety and Nutrition Agency in order for our children and young people to enjoy a varied, balanced and tasty diet, making food not only a necessity but a pleasure. The Region of Madrid Heath Council also supervises the menus served at our canteen. We offer home-made food prepared on a daily basis in our kitchens using fresh ingredients. Menus prepared by professional nutritionists. Specific menus for pupils with allergies or any other disorder certified by their doctor. 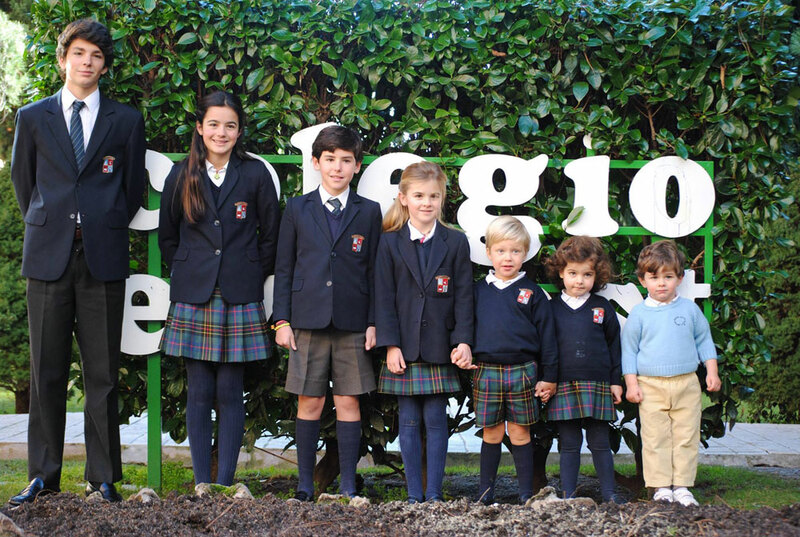 We operate 17 school bus routes for our pupils that criss-cross the entire region of Madrid. A qualified monitor works on each route, who remains in constant contact with the parents and the school bus coordinator. Thanks to our magnificent facilities in more than 20,000 square meters we carry out different activities, appropriate to the student’s age, stimulating their artistic or spatial capacity, motor, sports, linguistic and verbal coordination to complete their training. From paddle, swimming, ballet, judo, flamenco, drama club, robotics, fun science, languages, piano, guitar … even the classic ones like football, basketball, athletics or volleyball. In addition, we participate in academic competitions (physics, mathematics, religion, writing) debates, public speaking and organize intercollegiate sports tournaments (Friendship Tournament or Faro Cup), we participate in sports competitions in the area, we organize our Cross Everest for students and parents of family and summer camps. We have a full range of summer camps. Everest School through Mission Camps offers a full range of camps for boys and girls ages organized by themes that allow your children to learn, play and train while enjoying your vacation. Mission Camps is an international leisure and camps that offer families healthy and fun activities for your children in a safe environment and a comprehensive training environment, perfect for growing in maturity, freedom, responsibility and ability to enjoy. We specialize in leisure and free time with Christian values​​. You can see the updated calendar by clicking here.